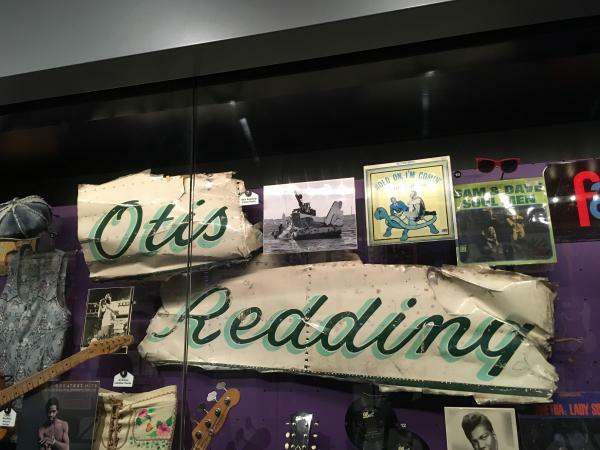 Experience the Rockin' History of Cleveland: Rock & Roll Hall of Fame and Beyond - Ohio. Find It Here. The heart of rock 'n' roll is still beating in Cleveland. The induction of Bon Jovi, the Cars, Dire Straits, the Moody Blues, Nina Simone and Sister Rosetta Tharpe will bring with it a variety of events and experiences – including a series of concerts on Public Square. But there’s never really a bad time to visit the Rock Hall or its related library and archives. It’s easy to get inured to a tourist attraction in your town, but the Rock Hall really is an international destination – a fact which I was reminded of when one of the other visitors spoke with what sounded like an Irish accent. The bottom floor is an outline of the history of rock ‘n’ roll, from its origins in other forms of music like bluegrass, jazz and gospel, to the present day. There are handwritten notes showing the creative process, instruments and momentos. 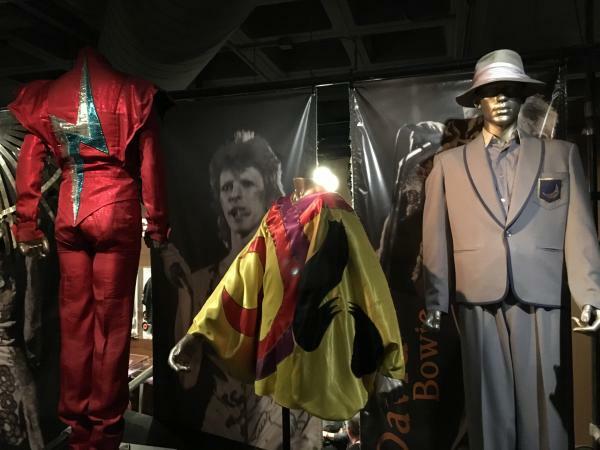 There’s even a section devoted to rock and roll outfits, from Bruce Springsteen’s black suit he wore on one of early 1990s tours to a litany of costumes by David Bowie. The one thing that always amazes me about seeing these items is how small all these people really were. Apparently, their stage presence made them look bigger. 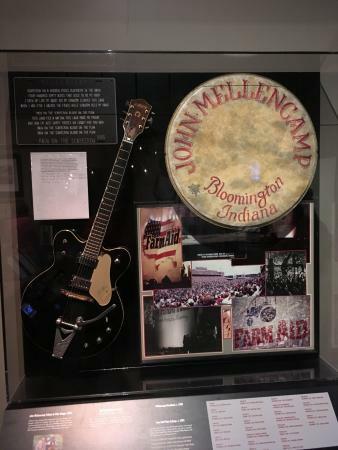 One of the special exhibits is devoted to John Mellencamp, the Indiana-born rocker inducted into the hall in 1991. There are handwritten lyrics, costumes and even some of his artwork. While I was there, an appearance by him on The Tonight Show was playing. He was singing “Jack and Diane” – and so were about a dozen people who were in the room watching, giving an example of how his music – and really, music in general – is something that links us all together. There’s also an exhibit devoted to Rolling Stone magazine, including a replica of publisher Jann Wenner’s San Francisco office. But the Rock Hall isn’t the end of the trip. There’s also the library and archives – a couple miles away at Cuyahoga Community College. It’s an archive for serious researchers with closed stacks and an orientation for new researchers. But you have access to a ridiculous collection of artifacts. I got to peruse the press pass collection of the Plain Dealer’s Jane Scott, the grande dame of rock journalism, and some old magazines detailing the rise and fall of former Cleveland disc jockey Alan Freed (an urn containing Freed’s ashes used to be at the Rock Hall; his earthly remains, like so many other prominent Clevelanders, are now at Lake View Cemetery). I guess Ian Hunter was right when he said 40 years ago that Cleveland rocks.